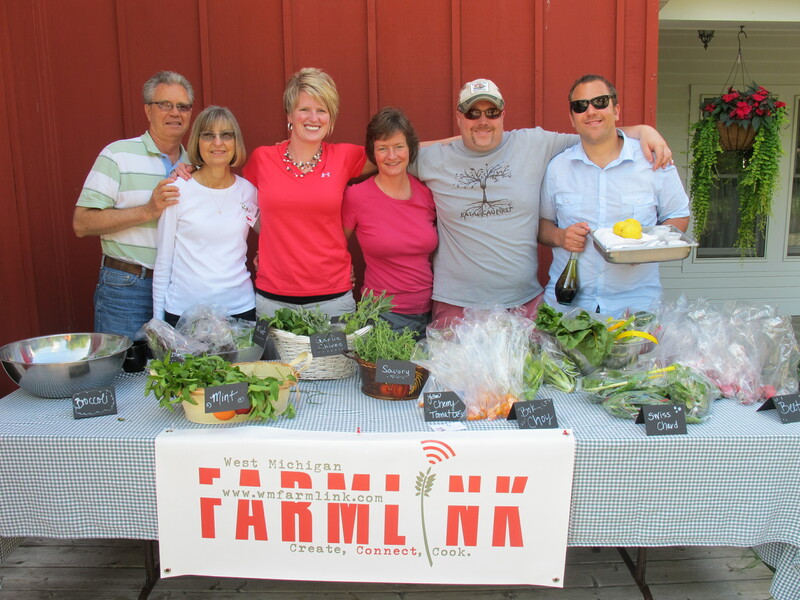 As the exec chef for Barfly Ventures, Dave Ogren was no stranger to creative vegan cuisine. Recently, he decided to head west to start up a new restaurant in the San Diego bay area. 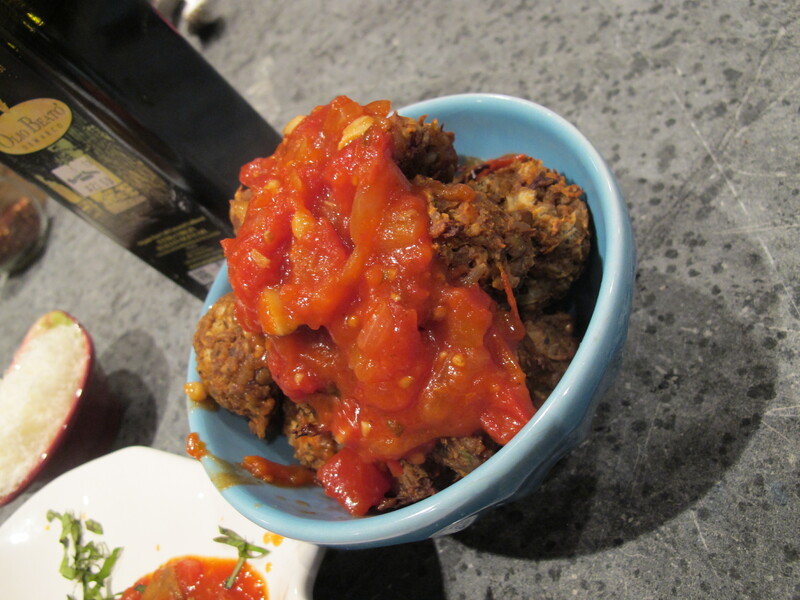 But before he leaves, he promised me this recipe that he uses in all kinds of applications–ground beef substitute, vegan meatloaf and in the photo shown above–meatballs in a fresh tomato sauce. Combine the lentils, rice, Braggs and mushroom stock in a small pot and cook until tender. Combine soy milk, and tofu to food processor, blend until smooth. Add mixture to bowl. Add cooked lentils and rice and seasonings. Fold the contents evenly to distribute them throughout the rice and lentils. Love you, Chef Dave! (far right in photo below, cooking with us at Gilda’s Club), and I look forward to many more adventures together. Is this accurate? One half cup of Bragg’s amino acids? Is this the liquid being called for? it seems like so much. Thanks! I agree, Nancy. I will ask Dave. S.
Sorry it took so long…it’s 1 1/2 T! Thanks! I’m glad I asked!